It seems that unannounced Huawei P8 Lite is now all set to go live for sales. 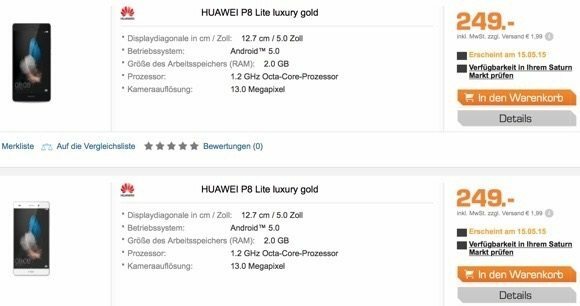 The mid-range device of recently announced Huawei P8 and P8max spotted online for pre-order in the Germany with a price tag of €249. The P8 Lite is listed in black and silver/gold options and will be shipped starting May 15. In terms of specs, Huawei P8 Lite sports a 5 inch IPS display with a resolution of 1280 x 720 pixels, and is powered by an octa-core processor. 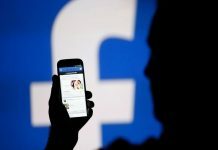 It packs 2GB of RAM, 16GB of onboard storage, 13 megapixel rear camera, 5 megapixel front-facing camera, and a 2,200 mAh battery. The P8 Lite runs Android 5.0.2 Lollipop out of the box.